Excellent choice trophy for any awards event. 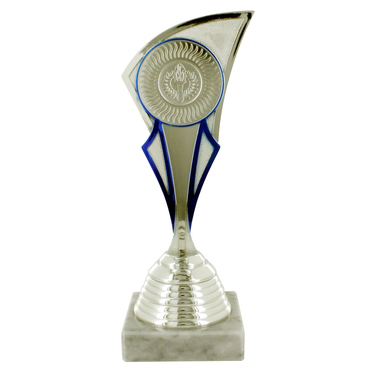 The trophy is increased in height by adding a silver riser. This trophy will support a centre sticker of 25 or 50 mm, you may choose from one of the options below. 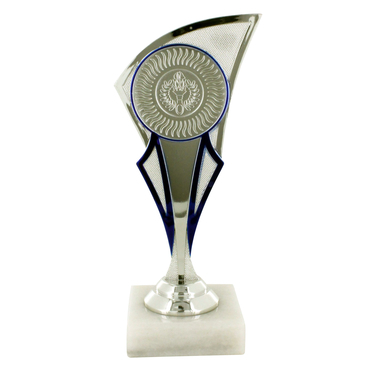 The marble effect base is also suitable for you to add an engraving plate.